Tabatha was found on a San José field next to a road having collapsed and lying down with a very poor health condition. She wasn’t able to stand up, one of her eyes was blurred and damaged and she was suffering from very short breathing. Tillyibiza bumped into her in one of the ibiza’s vet clinics where somobody had just left her there. Her charming looks captivated Tilly the very second she saw her and had no choice other than to take her home to take care of her. Tabatha’s head tilted to one side and her tiny body had not balance at all. She hardly could breath and her eye was really sore: she was suffering a lot, she was in real pain. Tilly them contacted Angela Collins , Care4Cats’ Chairperson, and soon enough we had an authorisation to take Tabatha to the charity Vet to be checked up. Tabatha was suffering from lungworms. Lungworms are a parasitic worm species that cause severe breathing (respiratory) problems. Tabatha’s case was so severe that suffered complications in the damaged airways due to her huge number of larvae that lead to more serious problems such as bronchitis, fluid build-up in the lungs and pneumonia. Just have a look in her lung x-ray: a healthy lungs are seen on an x-ray as a perfect black emptied spot. When lesions or estranged organisms are detected by the x-rays then white marks and spots are showing in the lungs. Tabatha presented the typical marmol pattern that confirms lungworms. These parasites can leave very bad wounds in the lung that will lead to a sick animal for life that will suffer lots of respiratory problems. Due to her bad breathing it is impossible to sedate Tabatha to remove her sore eye that probably hassadly been destroyed by the herpesvirus. For the moment the only thing we can do for her is to relieve her pain by giving her strong analgesic pills and eye drops. Tabatha body wobbles like a drunk. Her lack of balance is still a mystery for all us. The vet guesses that the low oxygen level in her body, the lungworms and the herpesvirus has left her stunned and extremely weak. Slowly but surely the mystery will be resolved and we hope from the bottom of our hears for Tabatha’s recovery. Tabatha needs lots of time and caring and new tests and medicines and lots of comings and goings to the vet. 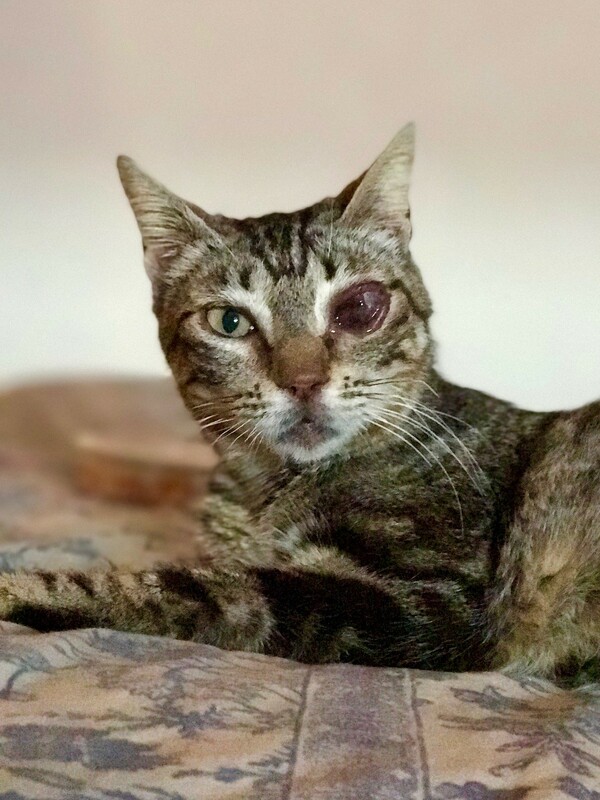 All of that cots money and it is not cheap and that is why we would like to thanks to Care4Cats’s generosity to cover all of Tabatha’s vet costs so she will have the opportunity to recover and enjoy a full healthy life again and be happy. 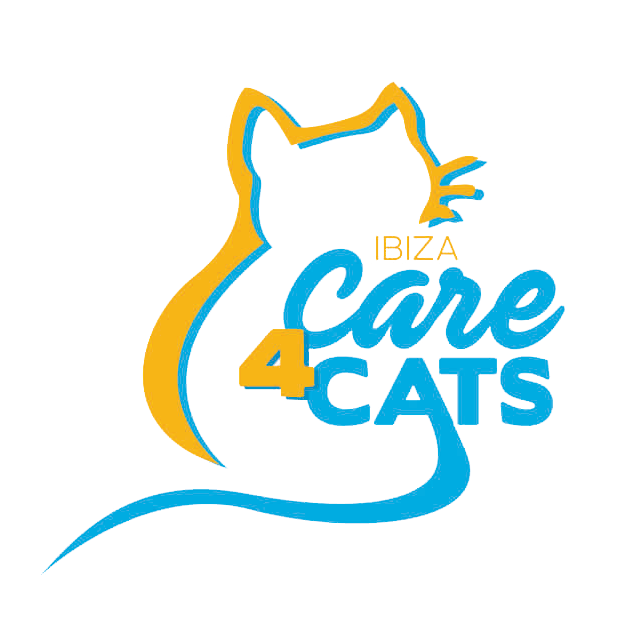 That is why we are now asking you to DONATE, even the small amount will be highly appreciated, because with YOUR help we will be able to carry on helping the ibiza cats like Tabatha that so desperately need a caring, compassionate and very giving hand to get over and survive. We really are nobody without your donations. HELP US TO HELP THEM, the Ibiza’s strays.